Areas of special interest: include treatment of upper limb disorders, especially shoulders and rehabilitation of sports injuries. Jay trained at The University of Birmingham and qualified in 1997, having previously completed a Sports Science degree at Loughborough University. Jay gained her basic experience working at Southmead Hospital in Bristol before specialising in musculoskeletal out patients. 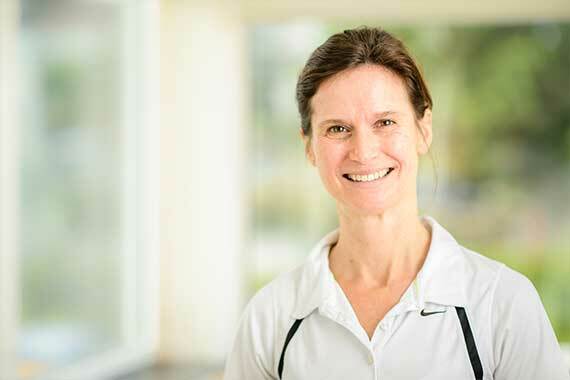 She returned to Guernsey in 2001 and further developed her specialist skills in managing upper limb disorders including post-operative rehabilitation, within Guernsey Physiotherapy Group and where she was lead physio of the Upper Limb Team. Jay started at Islandhealth in 2015 and brings experience of treating a wide range of conditions across all age groups. Jay believes that everyone should be able to enjoy an active lifestyle and aims to relieve pain, restore movement so you can enjoy life!